It looks like this will be the year that virtual wallets may actually catch on. 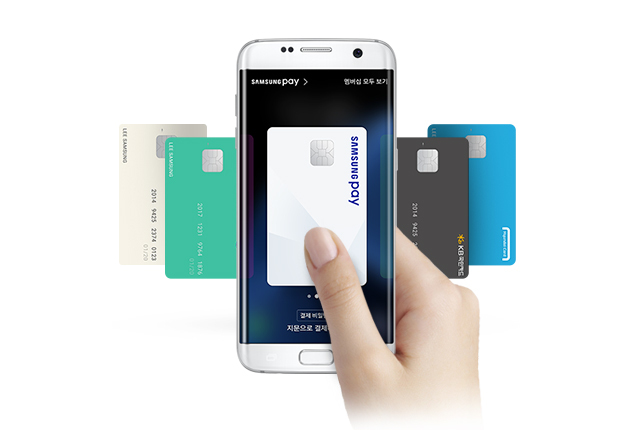 After Apple Pay, we talked about the LG White Card, and now let’s take a look at Samsung Pay. This mobile payment feature will be available later this year to Canadian owners of the Galaxy A5, Note 5, S6, S6 Active, S6 edge, S6 edge+, S7, and the S7 edge. You’ll get to save your credit card onto your phone’s Samsung Pay app, and then tap the phone on supported POS machines to authorize the payment. A big selling point on Samsung Pay is the vast amount of terminals that will accept the new service. 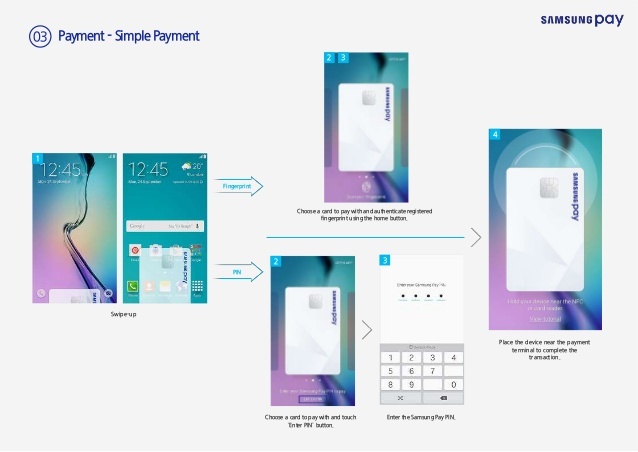 Right now in the US alone, Samsung touts that it works with “more stores than any other mobile payment service.” Arguably more secure than a PIN or password, a fingerprint is required to authorize payments. Another factor that should help Samsung Pay gain traction is the free charging pad that Samsung USA is offering customers when they load their first card. Hopefully, Samsung Canada will offer the same gift to Canadian users! Currently, the Samsung Pay is supported by Samsung USA through AT&T, T-Mobile, Sprint, US Cellular, MetroPCs, and Verizon. Some of the major credit and bank cards supported are: Bank of America, American Express, Chase, CITI, PNC, Synchrony, US Bank, and Wells Fargo. A complete list of supported carriers, banks, and merchants are available on their website. Hopefully when Samsung Pay is released in Canada later this year, a large variety of banks and carriers will be supported as well.